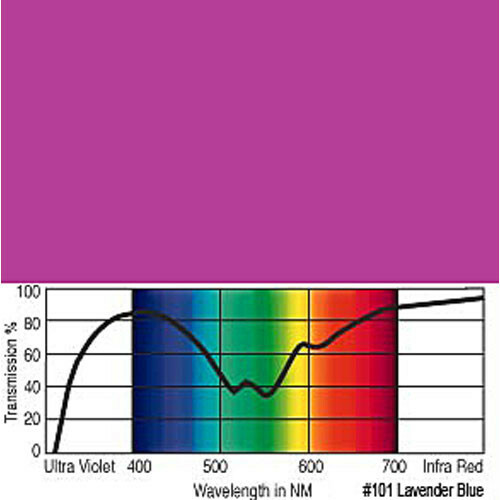 GamColor Filters are deep dyed in a high temperature resistant polyester with a melting point of 4800°F (2500°C). The GamColor System divides the visible spectrum into nine sections - convenient to the lighting designer. It is a circular classification of colors by hue, referencing the primary, secondary and important subdivisions. Colors depicted may vary slightly, due to differences in computer monitors, printed media, and variances in manufacturer's dyes.